We will not get a date for opening accession negotiations, not because we are hindering it, not because we do not want it, on the contrary, we want it very much and we think we deserved it. Now on the table will come the requirements for the criteria. Are we a standard, normal, European state? I am sure that they had worked a bit more on the reforms, certainly in the name talks, we would have been treated differently, but when you did nothing, when you are far from the rule of law, when you are far from law and justice, when you are sunk in corruption and crime, then every condition will have to be fulfilled. 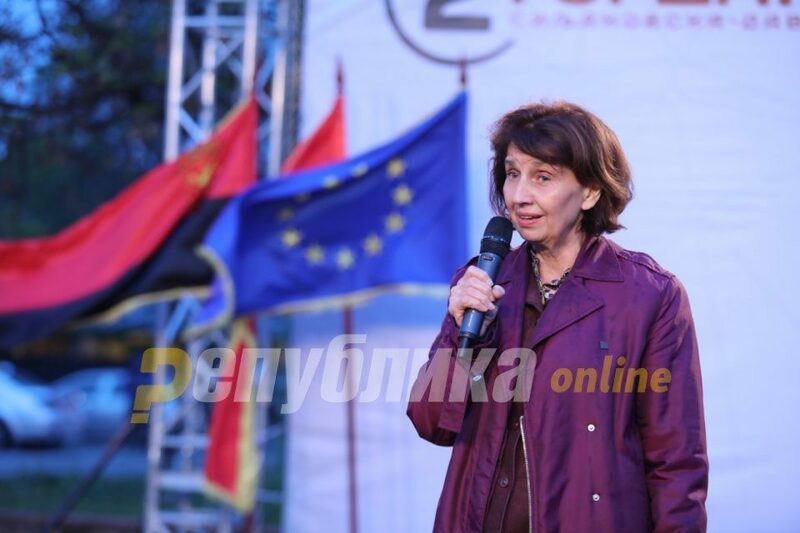 This happened to them, said Gordana Siljanovska Davkova at Sunday’s rally in Veles.